The annual Ardagh 10 Mile Challenge takes place on a scenic, point-to-point course during the peak of Winter. 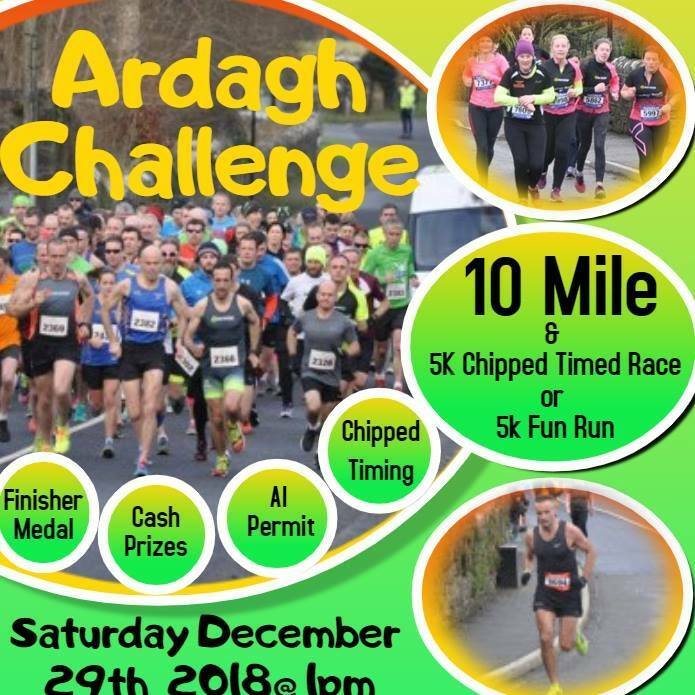 The first two miles of the course brings you on the scenic route around the village before you head up over the mountain, the last half mile has you once again running through the historic and award winning village of Ardagh to finish at the village green. 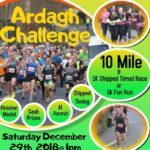 Our annual 10 Mile Challenge Run takes place on Saturday 29th of December in Ardagh. 1st up: All entrants in both the 10 Mile Challenge will now be chip timed. Results will be available online on the organisers FB page shortly after completion of the race. 2nd: Every entrant on completion of the 10 Mile Challenge will receive a specially commissioned medal. 3rd: Prize money this year for the first three ladies AND the first three gentlemen over the finish line. 1st €75, 2nd €50 and 3rd €25. Registration up to and including 27th of December will be €20. Entry fee on the day will be €25. Registration (commences at 11) and is in the Community Centre in the village – click here for directions.